This area is present on every page of the site. The Hello ‘yourname’ dropdown menu provides you with the ability to log out. 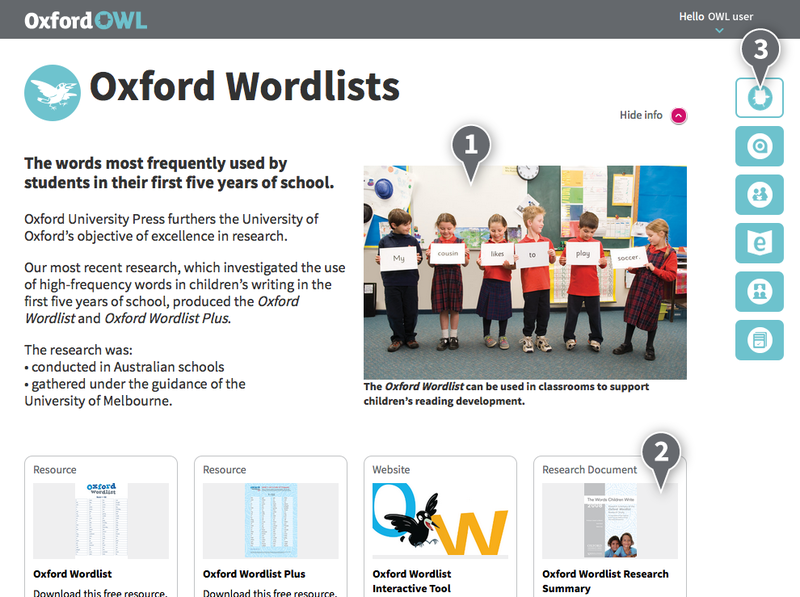 These six tiles are the home of all the content within Oxford Owl. When you navigate away from the dashboard by clicking on a need tile, the home tile icons will always be visible on the right-hand side of the page. Click on the icons to see a menu for each area. 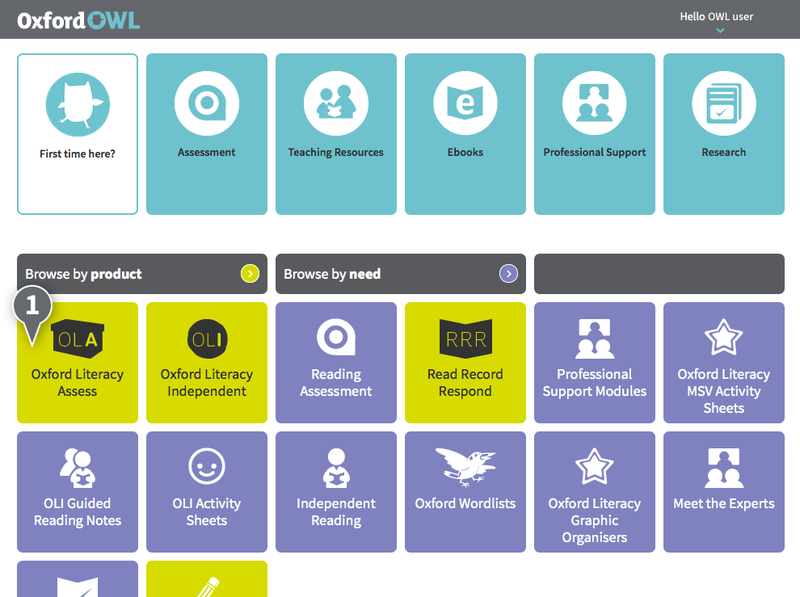 Product and need tiles provide you with quick access to a specific collection of content, drawn from across Oxford Owl, on the specific topic or resource you want to find. These tiles can also be filtered by product and by need using the filter boxes. The help menu provides you with a set of links to answer your questions about the different parts of the site. Product tiles are green. Clicking on a product tile will take to you a particular online product. Some online products can be accessed for free, whilst others need to be purchased and activated before access becomes available. Each need page contains an introductory information panel that can be hidden using the ‘hide info’ arrow. Each need page contains resources related to the tile. The resources are provided in a variety of formats e.g. videos, pdfs, and Word documents. Home tiles are always visible from every need page on the site. 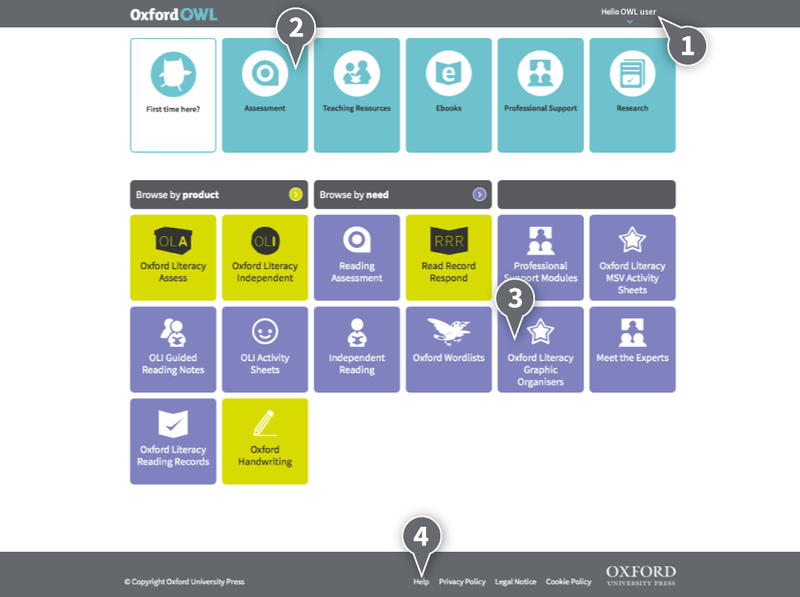 Click on a tile to view a menu for that area of Oxford Owl.